We’re now one game into one of the more anticipated Finals match ups in years, as both the Cleveland Cavaliers and Golden State Warriors were set upon a collision course through the back half of the regular season. The Finals, however, might actually prove anticlimactic if the high-octane Warriors were to start blowing games wide open. 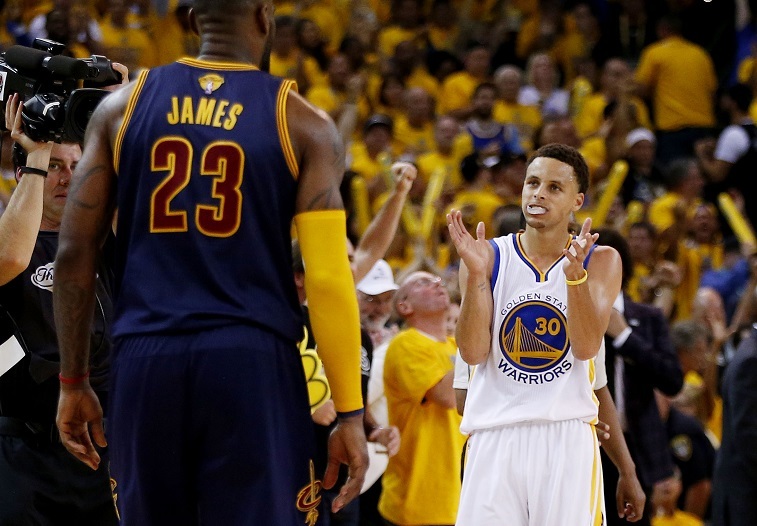 Golden State, and their otherworldly backcourt, is a match-up nightmare for short-handed Cleveland. It’s possible that the Warriors may close out this series in as few as four games and celebrate at Oracle Arena with their first championship in 40 years. As the series unfolds, NBA fans should consider the four following critical factors in deciding this year’s championship. The upstart Golden State Warriors managed to go 67-15 through the regular season, before making quick work of the New Orleans Pelicans, Memphis Grizzlies, and Houston Rockets in the playoffs, out of the rugged Western Conference. With Golden State running away from the conference, the backstretch of the regular season was defined by intense jockeying for position between the second and seventh seeds, before a war of attrition for the final eighth spot, between Oklahoma City and New Orleans. OKC missed out despite going 45-37 over the course of the year. In contrast, the Milwaukee Bucks, Boston Celtics, and Brooklyn Nets all advanced to the Eastern Conference Playoffs despite finishing out the regular season at .500 or less — serving, essentially, as first-round cannon fodder. From there,Cleveland wound up playing against two depleted teams — the Chicago Bulls and the Atlanta Hawks. Not that Cleveland has been immune to the injury bug, but the (L)Eastern Conference has its nickname for a reason. By losing just 15 games, the Golden State Warriors claimed NBA’s best regular season record and locked up home court advantage through the playoffs — more important now than ever, since the NBA Finals went back to the 2-2-1-1-1 format last year. While the 2-3-2 Finals were originally designed to alleviate travel concerns, especially related to cross-country matchups like the Lakers versus the Celtics, a a unanimous 2013 vote saw the format reverted as three home games gave an unfair advantage to the lower seeded team. Golden State will now be playing the pivotal fifth and seventh games at home at Oracle Arena, if the series were to even go the distance. The Warriors would literally end this series and demoralize the Cavaliers, if they were to steal one road win in Cleveland. Golden State, of course, would carry all of the momentum, if it merely holds serve, and takes the first two home games. For the regular season, Golden State went an NBA best 39-2, at home. This home cooking has carried over into the playoffs, where the Warriors are 7-1 at Oracle Arena. The lone home playoff loss came against the Grizzlies in the Western Conference Semifinals, when floor general Mike Conley inspired his teammates, after coming back from a broken face. 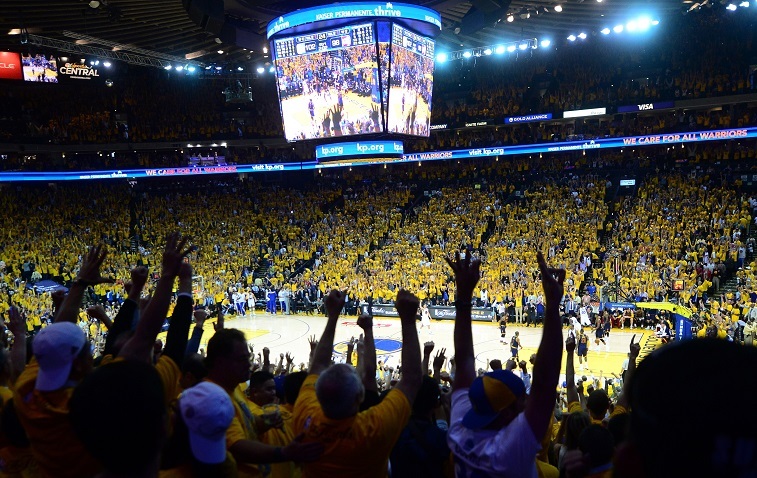 For years, the Warriors have entertained one of the more electric and loyal fan bases in the NBA. This raucous atmosphere will likely rattle Cleveland’s role players into missed shots and costly turnovers. The Splash Brothers, in Stephen Curry and Klay Thompson, are a match-up nightmare for the Cleveland Cavaliers, especially with Kyrie Irving being hobbled by nagging injuries. In the Chicago series, Irving tweaked his knee and ankle, and lost much of his explosiveness. With the injuries piling up, the Cavs actually shut down Irving for two games in the Eastern Conference Finals. While he looked better in Game One than anyone expected, his most recent knee injury just adds more wear and tear to the oft-hurt point guard. In contrast, Stephen Curry, this year’s reigning MVP, after pouring in 24 points per game, off 44% three-point and 91% free throw shooting through the regular season, and has taken his game up a notch in the playoffs, in torching defenses for 29 points, while also dishing out five assists, and hauling in five rebounds per contest. Kyrie Irving will likely draw the first assignment on Steph Curry. From there, the Cavaliers may switch J.R. Smith, Iman Shumpert, or even LeBron James onto Curry, if Kyrie Irving is being run ragged through tough screens (or bogged down with injuries). It’s hard to imagine Curry and Thompson playing worse than they did in the first quarter of Game One, when they combined to shoot 2-10 from the field and didn’t compensate by making it to the line. 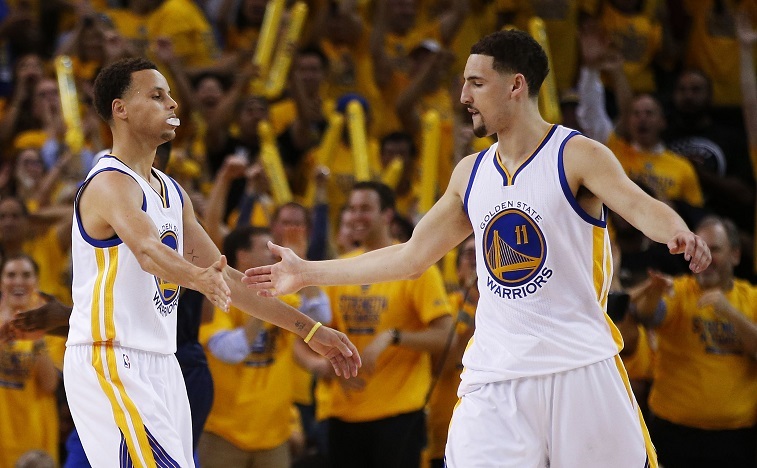 The Warriors still won, and it’s unlikely that the dynamic duo will ever be that cold again. Certainly, the Golden State Warriors have been living and breathing game tape of last year’s Finals, where Kawhi Leonard and the Spurs clamped down upon LeBron James, and Golden State does have the personnel, in Draymond Green (who finished second to Kawhi Leonard this season for 2015 NBA Defensive Player of the Year honors) Andre Iguodala, Harrison Barnes, and Klay Thompson, to throw multiple looks at LeBron James. Following the old cliché, the Warriors may not stop King James, but they can hope to contain him. Throughout his career, LeBron James has remained infamous for bizarre stretches of maddening turnovers and an apparent refusal to attack the basket. So far, Draymond Green and Andre Iguodala have drawn the assignment of taking James out of his game and flow of the offense, by forcing him to pound the basketball and clang shots off the rim from the perimeter. It’s worked well enough to this point. 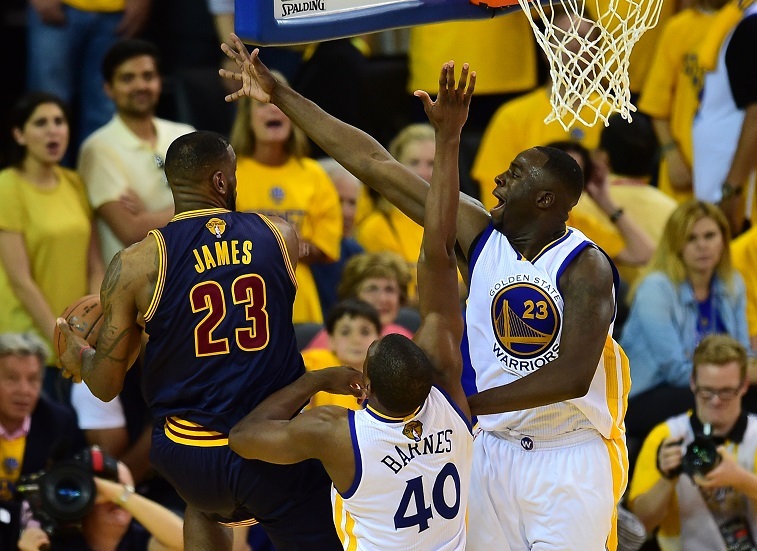 The Dubs’ wing defenders will be backed up by the likes of Festus Ezeli and Andrew Bogut. By packing the paint, Golden State will simply dare the Cleveland supporting cast to step up and knock down shots — which leads to as many J.R. Smith buzzerbeaters as it does J.R. Smith airballs. In year’s past, a frustrated LeBron James would often ditch the playbook, go one-on-one, and find himself at the losing end of a blowout. While last night doesn’t qualify as quite that, it was certainly closer than the King might want to admit.